I was recently having lunch with a dear friend who is also an industry colleague and we were discussing two different experiences we had in the healthcare system. She shared how her company has an executive healthcare benefit where she could schedule a comprehensive physical exam and health assessment at a local academic health system. In just over 90 minutes she was able to have four procedures with no downtime or waiting, including a detailed health review with a physician lasting nearly an hour. The findings and information shared from the tests and assessment in many ways were ancillary to the in-depth engagement she had with the practitioners throughout the session. Presumably, all the data was captured, catalogued and available for future use via the health system's electronic health record (EHR) database. However, the interaction between her, the practitioners and the system wasn't interrupted by the data capture- it was seemingly happening afterward while she was moving through each part of the exam. I contrasted this to my own recent experience where I needed to have a vaccination given and TB plant read to be cleared as part of an employer work requirement. I popped over to a CVS Minute Clinic to have both performed. 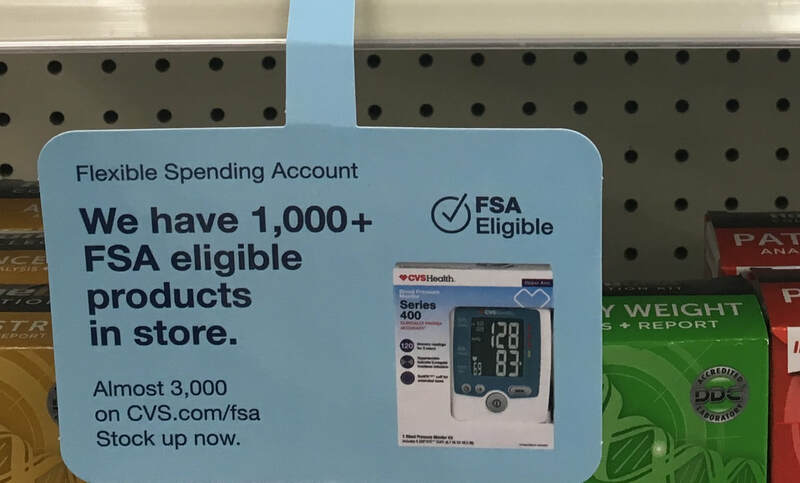 I was seen within 10 minutes of logging in at the Minute Clinic kiosk in the waiting area at the back of the CVS store. Once in the exam room, an R.N. welcomed me and then sat in a swivel chair so that she could turn to engage with me as well as with her computer screen, the command central of her daily work and interaction with the CVS Minute Clinic EHR. My career-fueled interest in measuring and understanding healthcare innovations led me to start the timer on my iPhone, which was in my handbag, as soon as I sat down in the exam room. It took my pleasant and knowledgeable R.N. about 10 seconds to read the TB plant on my inner wrist and then another 10 seconds to sign and stamp my attestation form from the employer (it was negative!). She then turned to her computer screen and it took about 5 minutes for her to scroll through the various EHR screens, entering data, selecting from drop downs, finding options when a particular drop down selection didn't fit the situation to capture the TB procedure and finding. Then, we were on to the MMR vaccination. That's not a common offering within the Minute Clinic I visited, although they are able to provide it and have the vaccine on hand to do so. It took about 5 minutes at the computer for the R.N. to find and then research the protocol and process for administering the vaccine. It took about 5 minutes to retrieve the vaccine, fill the syringe and then give me the shot. At this point, we are at 15 minutes 20 seconds into the visit, 2/3rds of which was computer screen time. After administration of the MMR vaccine, she had a number of screens to visit and data to enter into the EHR. This is where I had the experience of being completely alone, yet with another person who was no more than two feet away. The number of screens to be entered, along with a pop-up box that wouldn't let her advance to another screen, but wouldn't explain why or how to rectify, kept her focused on the computer for nearly 10 minutes. Every few minutes she would share her apologies and of course, I didn't blame her in the least. However, I couldn't help but think that this R.N., trained in clinical care and patient engagement, had spent fully 80% of our encounter with the computer. "Click-click-click...hmmm, not sure what is wrong here...click-click-click-click" and on it went. In the end she cracked the system, got through the screens and we concluded our time together, approximately 40 minutes after I stepped into the exam room for a TB plant read and a vaccine shot. The stated goal of the Epic-Minute Clinic engagement, per their press release, is to help the clinic further promote continuity of care with patients' primary care providers, including pediatricians, family practice physicians and internists. With patient permission, Minute Clinic is committed to sharing the exam as part of comprehensive record sharing, either electronically when available or via fax. This goal of connected care was achieved in that I gave permission for the record of the visit to be shared with my PCP and it is now in my health record (presumably). I haven't checked with my PCP's office to determine if it is there, but I will on my next annual visit. Further, there is no mention or desired end to have the system become a glorious patient-provider experience, so I still believe the intended goal is met as stated by Minute Clinic in their decision and press release. However, there is minimal connecting between patient and care. I fleetingly entertained giving the computer a hug on the way out of my visit, or at least thanking it for its time, given the prominence it had during my exam. The opportunity for broader, more meaningful patient/consumer/provider connection of data cannot be fully realized if there isn't a connecting with the person behind the bytes. Further, we are in a hyper-efficient economy of time and resource. Amazon Prime and Domino's are just two digital examples of how we are conditioned to expect services and offerings on our own time, in our own desired experience. My going-in expectation was that my exam should take about 15 minutes start to finish, about the same time as when visiting a PCP for myself or my child. Instead, it was 2.5x longer with only about 20% of the time being categorized in my mind as useful, i.e. clinical care. Coincidentally, the academic health system my friend visited and the CVS Minute Clinic both use the same EHR. However, I don't believe Epic is unique in the experience I have described. This is a story of general experience and I have heard from many others, practitioners and patients alike, that their experience is similar regardless of the EHR system. I see this as an area ripe for disruption, where the patient experience is maximized, leading to an even greater opportunity to collect and utilize data that serves both the organization and the patient. At present, my experience left me feeling like it is a one-way street, at least where EHR is concerned.